For a group of microbes with such functional importance at a variety of scales, the nitrifiers are a remarkably depauperate group from a taxonomic standpoint. Although slow growth rates hinder cultivation-based analyses of their diversity, as do culture techniques that fail to reproduce the diversity of microhabitats in soil (see Chap. 3), even molecular methods fail to find much nitrifier diversity. 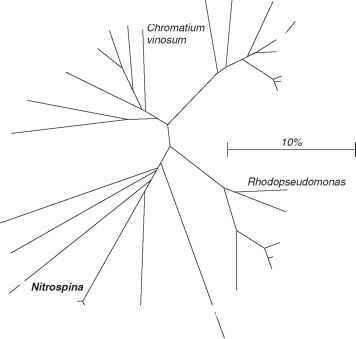 There is, nevertheless, even in the single phylogenetic group to which most ammonia-oxidizing bacteria belong, significant sequence and physiological diversity. Moreover, the recent discovery of widespread ammonia-oxidizing Archaea bacteria in marine ecosystems (Francis et al., 2005) suggests the potential for similar discoveries of new diversity in soil. Leininger et al. (2006) suggest that Archaea may be more numerous than bacterial ammonia oxidizers in soil. From a taxonomic standpoint, bacterial nitrifiers are viewed as the single Family Nitrobacteraceae, defined by their characteristic ability to oxidize ammonia or nitrite, although biochemical and molecular evidence provides no justification for this view. Early work beginning with Winogradsky (1892) classified the ammonium-oxidizing genera of Nitrobacteraceae on the basis of cell shape and the arrangement of intracytoplasmic membranes. This yielded five genera: Nitrosomonas, Nitrosococcus, Nitrosospira, Nitrosolobus, and Nitrosovibrio. More recent work based principally on 16S rRNA oligonucleotide and gene sequence analysis places all of these groups in the beta subclass of the Proteobacteria but for a single species of Nitrosococcus, which is placed in the Gammaproteobacteria (Purkhold et al., 2000; Fig. 13.4). Today we have almost complete 16S rRNA gene sequences for the 14 species of Betaproteobacteria ammonia oxidizers, which have a gene sequence similarity of 89% (Fig. 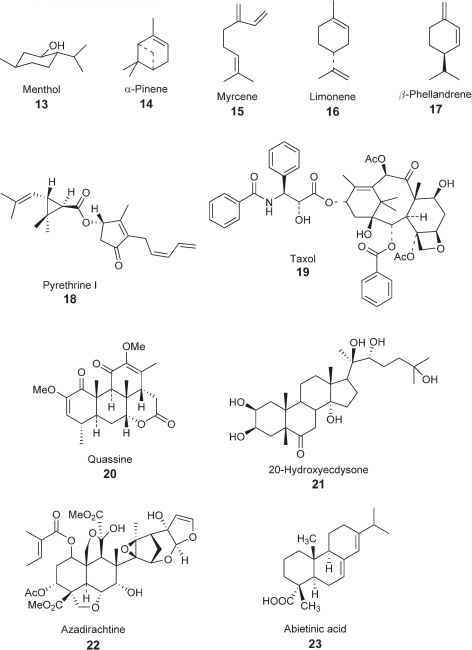 13.5; Koops et al., 2003). FIGURE 13.4 Distance tree for the Proteobacteria including nitrifiers (in bold). The scale bar corresponds to 0.1 estimated fixed mutation per sequence position (from Teske et al., 1994). More recent work places Nitrococcus mobilis in the Betaproteobacteria (see Fig. 13.5). and Nitrosovibrio (Koops and Pommerening-Roser, 2001). The latter two tend to be dominant in acid soils, which contain few if any Nitrosomonas. Molecular techniques such as 16S rRNA sequences and the retrieval of amoA clones have also been used to examine the diversity of ammonia oxidizers in vivo, which avoids the need for pure-culture cultivation and its bias toward those species that are cultivatable outside of their native habitat. Although molecular techniques can themselves be biased because of their dependency on the extraction of nucleic acid from soil, PCR amplification, primer bias, and cloning methods, they mostly corroborate pure-culture findings: most amoA clones and 16S rRNA based surveys are similar to sequence clusters defined by cultured ammonia oxidizers. Nevertheless, few sequences are completely identical to those of cultured organisms, and since it is not possible to obtain DNA-DNA hybridization data for noncultured organisms, there is no way currently to know if these differences are sufficient to define different species.